Thank you for hosting us Ray's Ice Cream!! And for your tremendous generosity! Team Project Beautiful - Inside & Out - Natasha, Doris, Nicole, Nancy, Lisa! Great partnership!! Doris Gilles, Executive Director of Project Beautiful - Inside & Out, with Melissa Parks, Founder of Art&Soul. A few of the hard-working case workers! One of our most touching initiatives to date, Project Beautiful - Inside and Out was happy to support Art&Soul of Oakland County, dedicated to increasing the rate of adoption in Oakland County, Michigan, through a traveling photo exhibit showcasing children looking for their forever families. In 2016, Art&Soul featured 9 children -- 6 of which were matched with families! 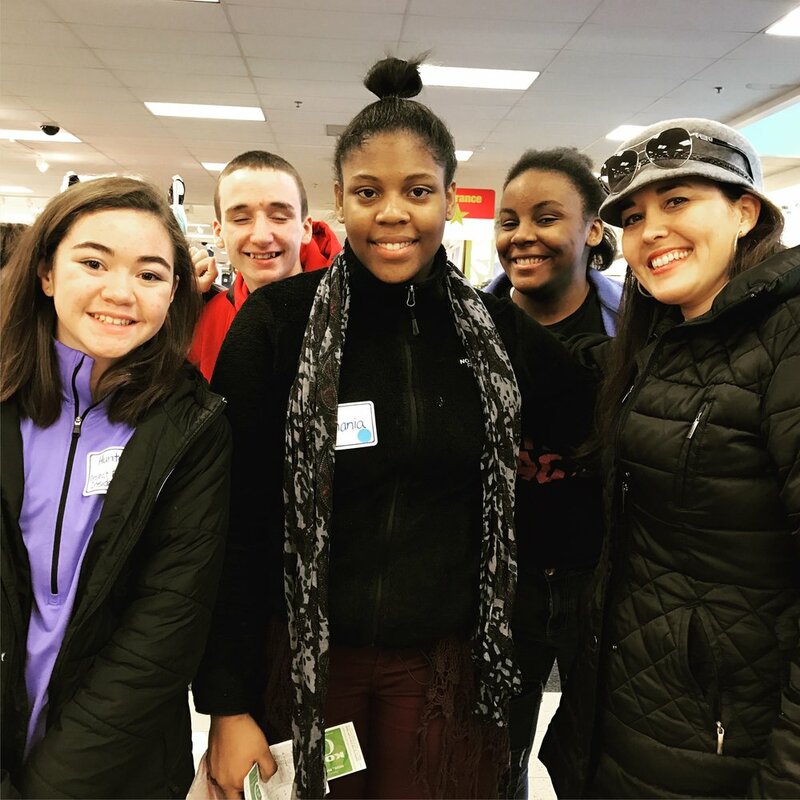 We treated 20 foster children from Judson Center and Orchard's Children's Services (who will be featured in 2017) to a $200 shopping spree at Kohl's plus ice cream at the famous Ray's in Royal Oak! A BIG THANK YOU to Ray's for their generosity and to Kohl's for the 15% off coupons! It warmed our hearts to bring smiles to these wonderful kids looking for their forever families!